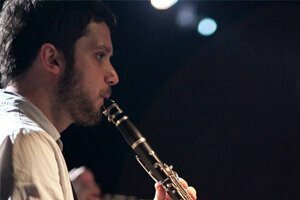 Saxophone lessons in Leeds with Greg S.
I have been teaching saxophone, clarinet, flute and performing for over 10 years: from individuals to large ensembles, primary school children to retired adults. I'm currently a member of peripatetic staff at 2 schools in Yorkshire, but have experience in many more as well as in Leeds Music Centres. I also perform regularly across the UK and Europe - projects past and present include experimental hip-hop/electronic band Paper Tiger, reggae outfit Gentleman's Dub Club, New Orleans jazz ensemble Alligator Gumbo and many more. I have had my music supported by BBC Radio 1, 1xtra, Radio 3, 6 Music, XFM, Rinse FM and performed at festivals across Europe, from Outlook Festival (Croatia) to the Edinburgh Fringe. My style is generally quite informal, but I am always punctual and thorough! The basics will always be covered, but methods and content are flexible to accommodate the student. People learn in different ways - I think a good teacher acknowledges that and is prepared to adapt. All ages and abilities welcome. I have taught ABRSM (Classical and Jazz) and Trinity exams up to Grade 8 level. I am always happy to provide music, hand-outs and transcriptions for students, or to recommend particular books - again, what the student prefers is important. If exams aren't for you, that's fine, but I can prepare students for Aural Tests, Sight-Reading, solo and ensemble performances, Music Theory and more. As mentioned above, I have taken students through jazz exams before and have taught improvisation to quite a high level. I am also happy to transcribe popular songs at the student's request. I am interested in jazz as well as other contemporary styles like hip-hop, funk, soul, afrobeat, reggae etc. I have lots of experience in composition, improvisation and music production/technology (Ableton Live, Logic, live looping etc.). I have facility to record students' progress and access to hundreds of backing tracks for students' use. I am also happy to provided piano accompaniment for students in any exams. Meanwood in Leeds (LS6). I have dedicated teaching space with a piano at home, but am willing to travel if necessary (terms to be agreed). Greg is a fantastic teacher with a real infectious enthusiasm for music. He has taught our daughter Kirsty all the way through from beginner to Grade 8 standard: now she is off to university and refuses to have another teacher!" Greg has been a reliable member of staff at our school for several years now. Since he arrived, numbers for woodwind lessons have tripled. He is friendly and patient with the pupils and they always seem to make real progress. Would recommend him to anyone." After making contact, Greg will normally be in touch with you within 48 hours. You will also receive a confirmation email, which includes Greg's contact details.